Pegler Yorkshire has raised the bar by being the first manufacturer to achieve the BSI Kitemark across its range of push-fit fittings. 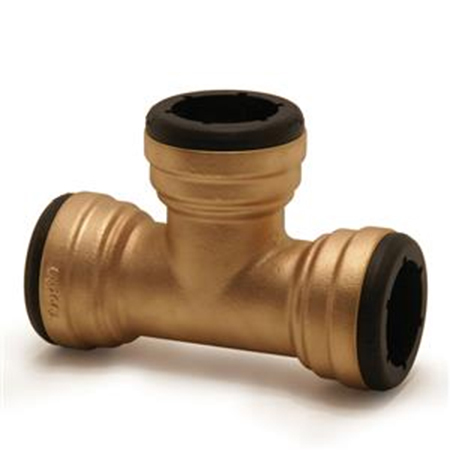 The Tectite range of fittings stretches across a global market and is used by plumbing and heating professionals operating within the domestic and commercial sectors. Tectite has become the choice product for many installers due to its unique and unrivalled features such as grip first grab rings which prevent any risk of full bore blow offs, pre-lubricated seals for reduced insertion force and a cooper, DZR brass or stainless bodies. The range is suitable for jointing with a wide range of tube materials, including copper, flexible metal, PEX and PB and a variety of steel including stainless and carbon. Additional features include fixed non-demountable and demountable options.